The student will evaluate data collected to determine if they fit either the uniform or exponential distributions. You may need to combine two categories so that each cell has an expected value of at least five. 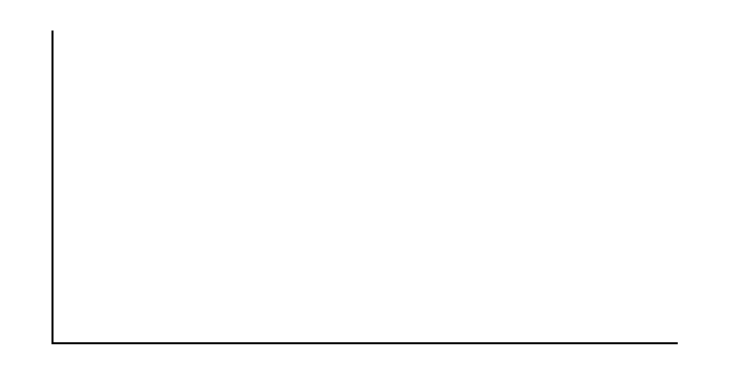 Construct a histogram of the data. Make five to six intervals. Sketch the graph using a ruler and pencil. Scale the axes. Test to see if grocery receipts follow the uniform distribution. Divide the distribution into fifths. 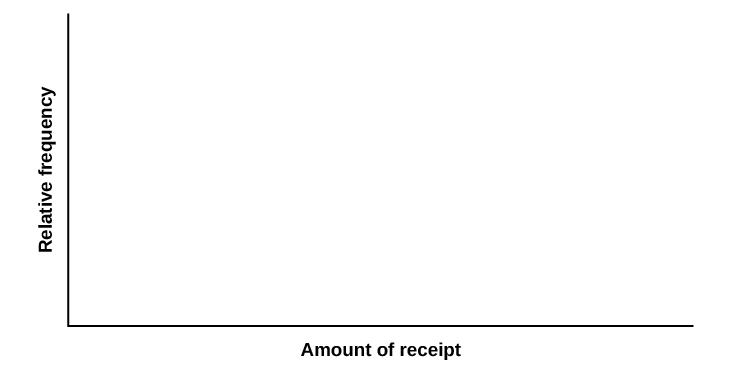 For each fifth, count the observed number of receipts and record it. Then determine the expected number of receipts and record that. Test to see if grocery receipts follow the exponential distribution with decay parameter . Using as the decay parameter, X ~ Exp(_________). For each cell, count the observed number of receipts and record it. Then determine the expected number of receipts and record that. Did your data fit either distribution? If so, which? In general, do you think it’s likely that data could fit more than one distribution? In complete sentences, explain why or why not. Lab 1: Chi-Square Goodness-of-Fit by OpenStaxCollege is licensed under a Creative Commons Attribution 4.0 International License, except where otherwise noted.